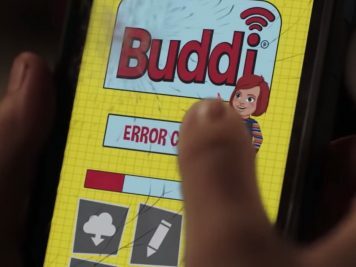 Child’s Robot Costume with Candy Detector « Adafruit Industries – Makers, hackers, artists, designers and engineers! I made my daughter this robot costume for halloween. 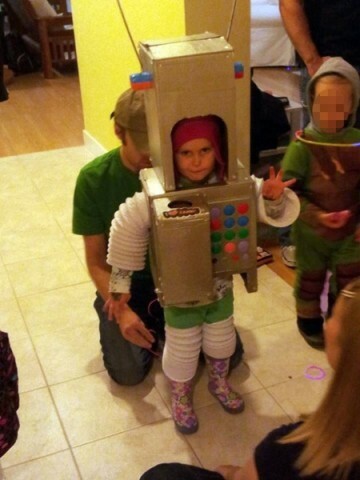 I was inspired by this Kid Robot costume. I took mine in a bit of a different direction and added a few more novelties such as lights in antennae and ears, a big button pad with a sound effect for each sound, and my daughter’s actual voice for the candy detector and a few other phrases. I also added pressure sensors to her boots so that she had robotic sounding steps. 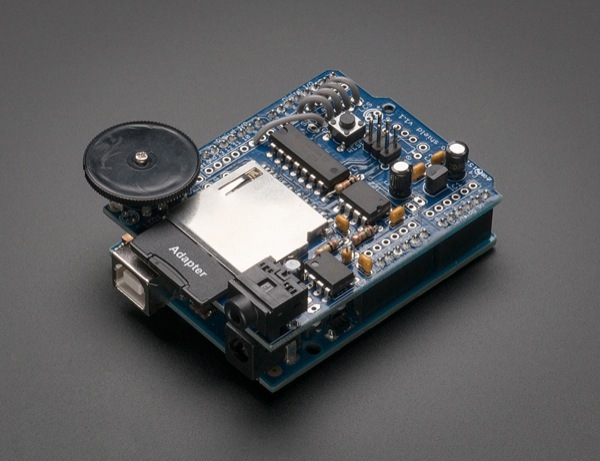 Pick up an Adafruit Wave Shield here!